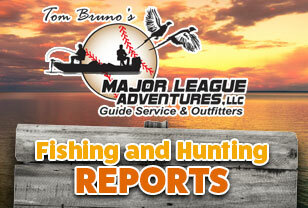 Tom Bruno's Major League Adventures, LLC! My passion in life has always been fishing, hunting & playing major league baseball. I am truly blessed in that I have been able to make a living while enjoying my passion. Although I cannot get you a major league baseball contract, I can afford you the opportunity to enjoy your passion for fishing and hunting. I derive great pleasure in introducing you to some of the best pheasant hunting on private South Dakota property as well as walleye fishing on Lake Oahe and Lake Sharpe. I guarantee you the experience of a life time that you will want to repeat year after year. My goal is to provide you and your party with the ultimate hunting & fishing experience. No Group is too large or too small. I can accommodate your next business conference, family reunion or relaxing get-a-way. 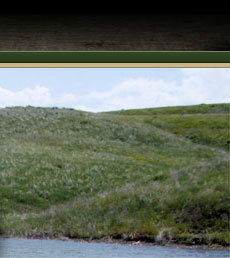 With over 30 years of competitive fishing, guiding and hunting experience, the right equipment and hard-working trained, retrieving dogs, I can assure you, when you are harvesting ring neck pheasants in South Dakota or catching that trophy fish on Lake Oahe & Lake Sharpe, we will create memories that will be unforgettable. "Harvesting ring neck pheasants in South Dakota or catching that trophy fish on Lake Oahe & Lake Sharpe, we will create memories that will be unforgettable." 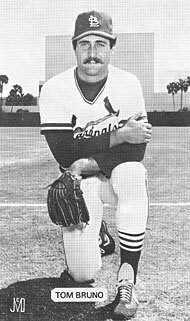 During my career as a pitcher for the Kansas City Royals, the St. Louis Cardinals and the Toronto Blue Jays, I played with and against many “hall of famers” and most of the great players of the 70’s and 80’s. I enjoy sharing stories with you about those great times in my life as we fish and hunt together. 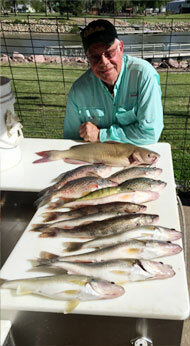 I take pride in providing personalized service while creating the ultimate hunting & fishing holiday for you to enjoy. From the finest hotels in South Dakota, comfortable, affordable resorts, or clean, quality camp sites, I will personally reserve your accommodations for you. When the fishing day is over, I will arrange for your hotel or resort restaurant to cook your days’ catch for you to your specification. With return clients making up over 80% of my business, these people that repeatedly pheasant hunt or walleye fish with me are your best source of information regarding Major League Adventures and me. I will gladly provide you with references and encourage you to contact my clients. Through my personal service, interest and experience, I will provide you with an enjoyable walleye fishing and pheasant hunting experience on the Missouri River, Lake Oahe & Lake Sharpe and in the fields of South Dakota. You can reserve your trip with confidence and be assured you are employing the best, most experienced and successful full-time fishing guides and pheasant hunting guides in Pierre and throughout South Dakota. You will enjoy a first class experience and an outdoor enthusiast’s vacation you will long remember. I am now booking for Spring & Summer tours. To reserve your spot, call now. I look forward to speaking with you and planning your walleye fishing and pheasant hunting trips this next season.